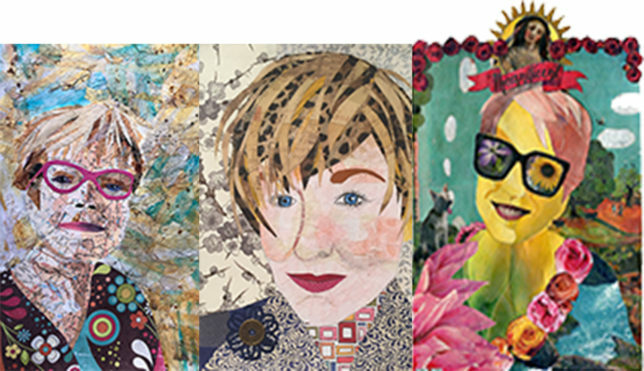 In this workshop, students will create a self-portrait made from a variety of new and old materials. The student will take ordinary objects and use it other than what is was designed for to create an abstract face. IE; use a bottle cap for an eye, wired to make a pair of classes, painted matchsticks that become hair, your shirt is made of paper or cardboard. Students will incorporate their own face and personal items of meaning. Students may bring their own fabric, paper, paints, beads and objects in a variety of shapes and sizes. Glue, paper, paint and other found stuff will be provided.